And what a day! Unplanned, and yet graced with magic moments, as the Twitter Timeline turned very “Wagnerian” from around noon. Love my garden. From the back door, vistas range from Compass & Sumburgh Head to the SSW to the closer bays of Levenwick, Channerwick and Hoswick. 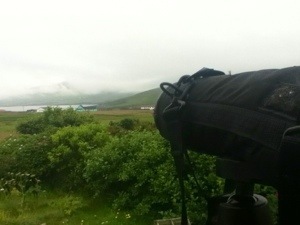 Binoculars and telescope hang around, handy as de rigueur all year round, and more especially during summer. Anything can pop up from the sea and/the air! 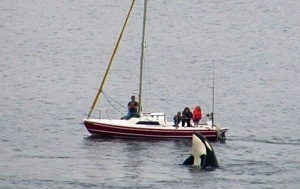 Black sickle-shaped fins surfaced around a small red and white yacht. I was not dreaming! Through the telescope, they were circling the sailing vessel. 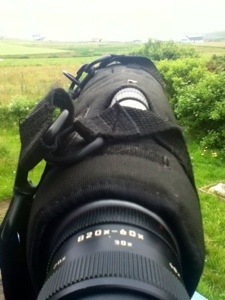 Glued to the eyepiece, the iris relished the moment, as those magnificent cetaceans – Orcinus orca regaled both the occupants of the craft, the assembly of whale watchers, photographers & tourists who filled the lay-by in Levenwick and I, from the comfort of my vintage point just outside my kitchen door. With grateful thanks to “Crieffy” (as John is notably known on Twitter) who captured magic moments. John has his own FB page. Please go visit! Sickle-shaped fins for female orcas (aka as “killer whales”) though those magnificent sea mammals do not feed on whales in this part of the world. Their main prey here being that of seals. Bulls have a longer and more vertical dorsal fin that can reach up to two meters. Always impressive & magical creatures. 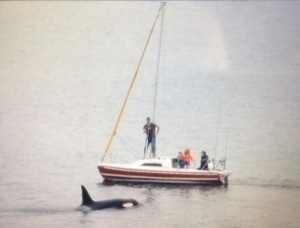 SKY HOPPING ORCA – how we all envied those guys on the yacht! At least, this was the thought John & I shared via Twitter! As the afternoon progressed, sea watching continued from all around the nearby bays, as Atlantic White Sided Dolphins joined in the spectacle. The telescope stayed on its vantage point, binoculars around my neck, but then, and in a harmonious manner, I also seized the moment to get da scythe out for a spot of gardening. With all that fog that comes to veil our northern world, the vegetal kingdom grows rather green and generous! So sickle-shaped things fashioned my Saturday. With renewed thanks to my Twitter buddies, and more especially Hugh Harrop (Shetland Wildlife) for the initial orca alert and John Moncrieff, for sharing & supplying those magic orca images. For days on end, we learn to walk. Then we taste rubber on tarmac and we lose purpose of our feet. Too long I aimed to lace my boots and reconvene with wild peatlands. I just did that yesterday with a friend who made me trek through a palette of earth colours. 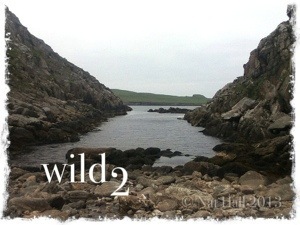 For this, I crossed the “wild haired sea” in between 9 and 10 a.m. to find the island man calls Yell. Very few folk inhabit it, but it harbours both hearts and dreams – a plethora of hidden gems that await you on either side of fenced tarmac. 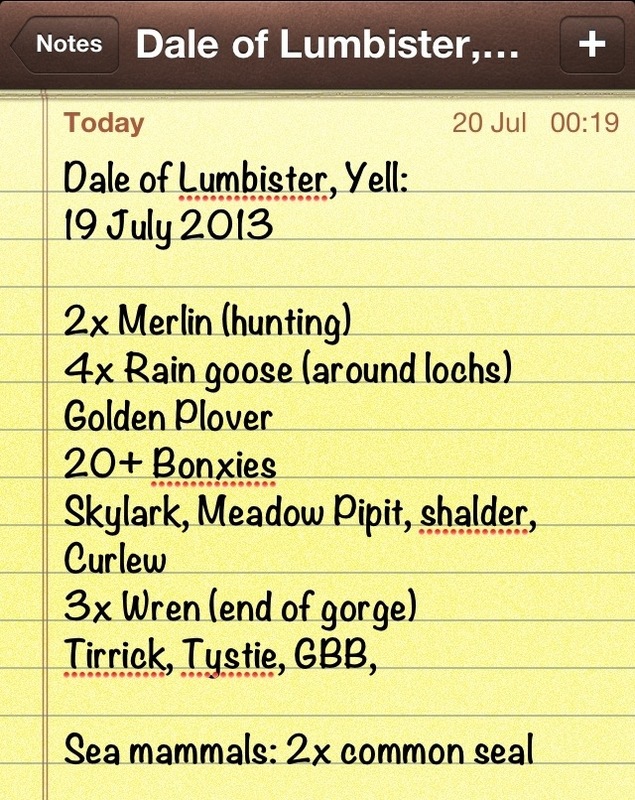 So we gathered off Ulsta Pier and headed north for a wander. Yell first looks so desolate from its west side, way past West Sandwick. A uniformed titanium sky (though still deprived from steekit mist – or summer fog) let us admire this enormous blanket of peat. Friday belonged to the heather, cotton grass, yarrow, tormentil, as we wandered west to the sea. 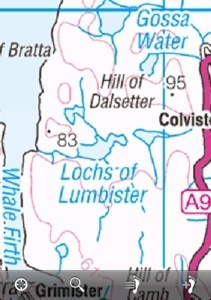 In this corner of wilderness, each burn (stream) meanders to a loch. To my surprise, late violets still flourish with bog asphodel – red throated divers display all their love in a spirit of true courtship, and we watch them though our child’s eyes. All around us, meadow pipits and skylarks sing. The odd curlew calls from afar. As we followed the first loch’s edge, my ears are distracted by calls I had not heard for quite a while: a pair of Merlins hunt on the edge of skyline. My heart sings wild! For a moment, we paused and watched. So many nests through hillside grass, I always dread to flush feathers… By the edge of the second loch, a gang of bonxies (great skuas) – bachelors – desalt in style, as they come to splash in numbers. They must keep feathers in pristine conditions to ensure their own survival. Its entrance show first sight of fence. For a minute, I thought it blocked, but my friend smile. “They try to grow trees once again,” he smiled. Young sycamore and hazelnut? Soil is lush inside the narrow carved bedrock. So we followed the gentle stream that would lead us straight to the sea. I never cease to be amazed by the power of elements. Ice carved the whole of those islands, water erodes with time and wind, and yet we walked and hopped across that burn and imagined a gigantic glacier above! A summer breeze carries the sounds of passing birds – wrens or tirricks (arctic terns) echo against ledges of rock. We nominate a high level rock by The Bend for a much deserved spot of lunch. The view is clearly breath taking! My last souvenir of a gorge (except for Ardèche & Verdon, which obey to a huger scale!) takes me back to Upper Provence off the hamlet of Opédette. Strangely, my heart retraced memories of lavender & wild thyme! 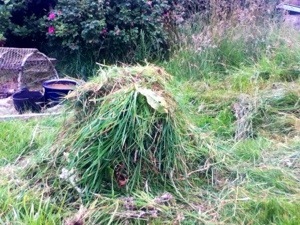 We continued till dumped boulders override its magic lushness. 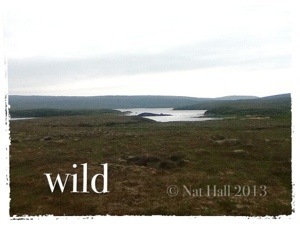 Two hours of wild trek through peat bogs, mires and wild grass! We sat and marvelled at the sea. We shared dark chocolate and apples, caught our own breath in this ocean of silence, only distracted by the breeze, two inquisitive seals and wrens. Idyllic “now”! Yet soon we must wander back to tarmac. As we opted to walk along the South edge of the second loch, we would return by its opposite side. I must confess walking through the peatlands is hard work. My hiking pole is a true friend! But first, as we ascended parts of the gorge, I enjoyed a Birdseye view of the place. We stepped back on stones to cross water. It feels the land Tolkien imagined for Frodo – it feels the desert from Giono’s southern alpine wonders. Every footstep feels a little heavier as time eludes us in heather. On the approach of the second loch, I see a house, and my friend slows his pace a little more. We hopped on secluded beaches, paused for a while to catch our breath, and continued till we steeple chased that first fence. My eyes, riveted to flowers, dare not look back. That house grows bigger as we tread through the mires (marshy patches of land) that feels like a mattress under your foot. Tarmac’s in sight, with my friend’s car. Above our heads, blue overrode titanium grey. We smiled at the final gate. 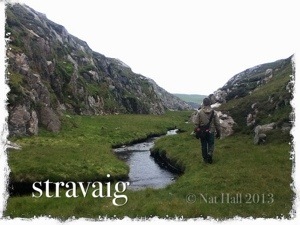 We have made it – four hours of some wild stravaig (wandering) through a corner of remote wilderness. “By 6,” he said, “we shall be home where we can enjoy dinner!” He did not lie. The evening flew like a skylark, and far too soon, we parted from each other at Ulsta Pier. 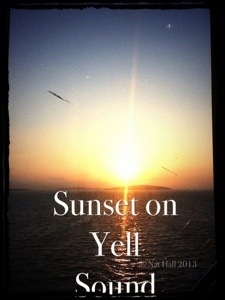 On the way out, I caught the sunset on Yell Sound, in a true blue Simmerdim style. This day is tattooed in my heart. it’s at Mareel, it’s at Wordplay 2013 and it’s glowing! 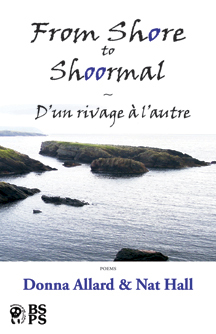 Books – From Shore to Shoormal & Joe Blades’ all available for sale at Mareel & Book signing in the foyer after the event. Nous nous réjouissons de la venue de Joe Blades au lancement du livre à Lerwick lors du Festival du Livre “Wordplay 2013”, grâce au soutien financier de artsnb.ca et bien sûr, à Shetland Arts. 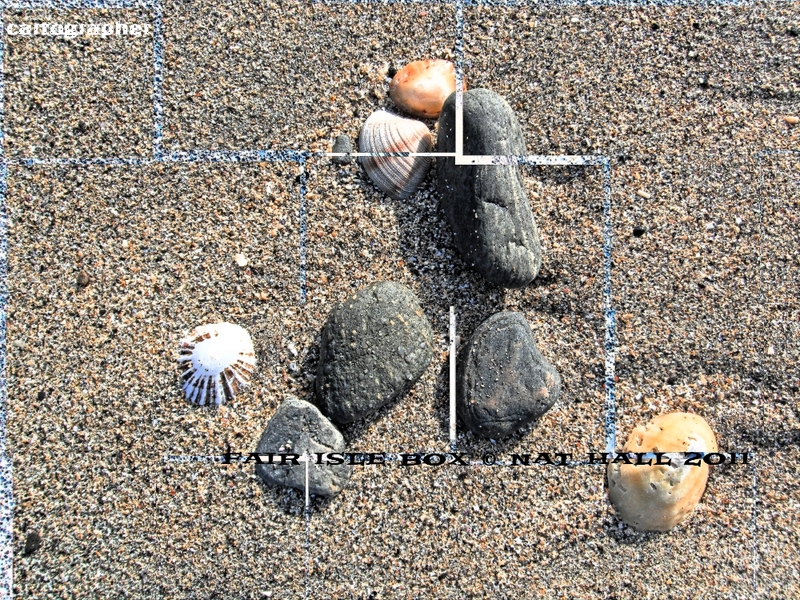 Let there be poetics from both sides on the Atlantic! H appy Canada Day to all my Canadian friends from weither side of the Atlantic! / Bonne fête du Canada à tous mes amis canadiens des deux côtés de l’Atlantique! Today I think of you as I celebrate my first day of July, en tête-à-tête with my side of the great ocean. Look what I have found! I have a deep love for the natural heritage and empower folk to enjoy it, for my Nordic home hides so many gems inside that blue casket! 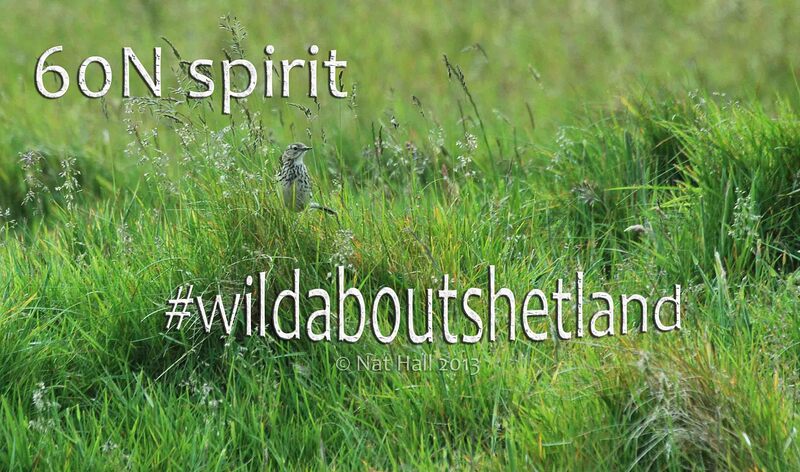 Shetland’s Festival of Nature is in full swing!